Not sure of your rights as a server, bartender, or otherwise tipped employee within the Lone Star State? As an experienced Austin, TX employment lawyer, I can assure you that you are not alone in your concerns over the possibility that you are being taken advantage of in regards to fair compensation for your long hours of hard work. I quite often receive inquiries regarding the legality of employers, particularly those engaged in the restaurant or other food and beverage industries, being permitted to pay such seemingly low hourly wages. While there are a handful of states in this country, such as Nevada and California, who are required by their respective state laws to pay tipped employees full minimum wage in addition to the tips they receive, unfortunately Federal and Texas laws do permit employers here to pay tipped employees as little as $2.13 an hour. Regardless of this fact, your employer still has a myriad of legal stipulations to adhere to in order to pay you at that lower hourly rate. By labor law definition, a “tipped employee” is any worker who regularly receives in excess of $30 per month in tip compensation through their employment. This would include most restaurant servers, bartenders, and even some bussing and hosting personnel depending on whether the particular workplace in question participates in tip-pooling, which is legal under state law but likewise carries a complex web of compliance factors that must be followed. 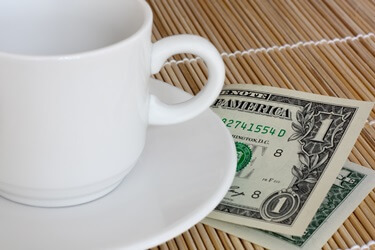 Even as a tipped employee, your employer is still required to ensure that you receive at least the state minimum hourly wage of $7.25 per hour. This does not mean that your employer can pay you a mere $2.13 per hour if you only take home $30 per month in tips. On the contrary, even as a tipped employee, your employer is still required to ensure that you receive at least the state minimum hourly wage of $7.25 per hour. In other words, if your hourly wage and tip income for any given week does not compute to an average of $7.25 per hour, your employer is required by law to compensate you for the difference. If business at your place of employment is seasonal or inconsistent, or if you work a small number of hours each day, you should regularly keep track of your paycheck wages to verify that your employer is ensuring you receive the legal hourly minimum each week. On the same token, if you are fortunate enough to work for a business that has a constant flow of customers through its doors, you are likewise entitled to overtime pay, the same as non-tipped personnel, any time the number of hours you work exceeds forty hours per week. Are My Rights as a Tipped Employee Being Violated? If you believe that your employer has not compensated you fairly on either of the aforementioned levels, or if you work at an establishment that permits tip-pooling and are not certain if the practice is being performed in legal compliance, please contact my office to arrange a free initial consultation. Federal and Texas labor laws regarding tipped employees are complicated as well as subjective, so it is imperative that your unique situation be examined by an experienced employment attorney who thoroughly understands your rights. Please contact me so that I can determine if you indeed have a legitimate claim against your employer.